A Tonk's Tail... err, Tale...: Smug Mug. Faraday: I's the King of the WURLD! Just lookie at all those waving whiskers! Of course you are! Was someone sayin' otherwise? Play bows to you King Faraday. Have a terrific Tuesday. You ARE the King, Faraday. 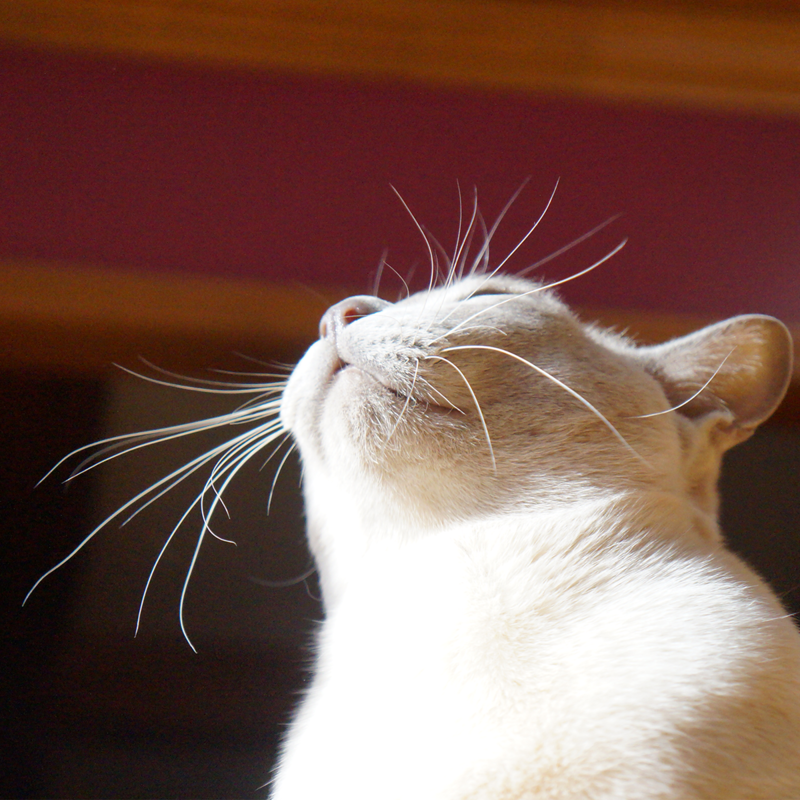 Those whiskers of yours are awesome! Of course you are Faraday. Nothing like ruling a kingdom! The King rules! Look at those amazing whiskers! Yes yous is!!! Mes could stares at yous ALL day! I'll paw wrestle you for that title, Faraday. Faraday, I know some kitties who may dispute you on that!